Anyone who knows me knows that I love a good road trip, whether it’s for a day, a weekend, or longer. I also love camping, but I have to admit that my body is less enthusiastic about spending several nights on an air mattress than it used to be. 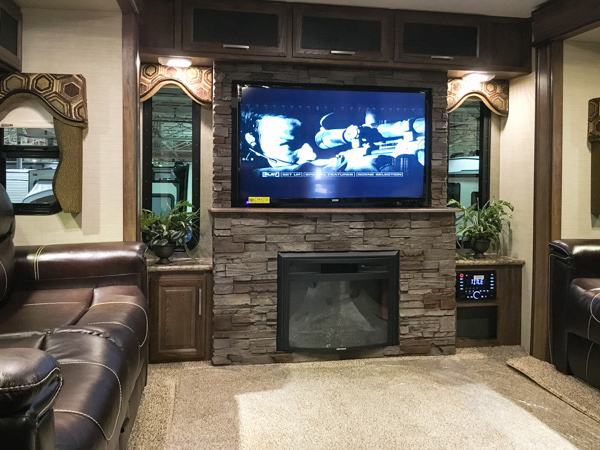 I decided to drop by the first small RV show of the season to look at some alternatives, and had an eye-opening experience. 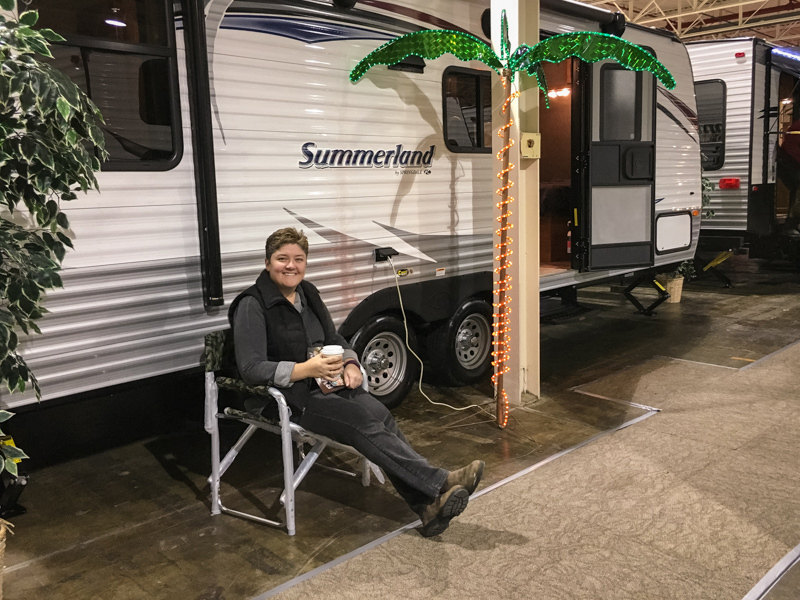 It’s led me to book off time to attend “The Big One” – the 2016 Toronto Camping and RV Show at the International Centre from Feb 25-28. A little knowledge is a dangerous thing, but I think a lot of knowledge is probably even more dangerous for my pocketbook! I went to the first show with the hopes of seeing the T@B teardrop trailer, and we were in luck. At around 1,700 lbs, this trailer can be towed by a wide range of vehicles, including our CR-V. With the kitchen (and a television) located on the outside of the trailer, the inside has room for a queen size bed (which converts to a table with seating), a small tv, storage, heating/cooling, and a bathroom/shower. We were looking for a solution for bad weather, and wanting to spend less time setting up and breaking down a campsite every day when you’re on the move. The T@B seemed like a real possibility, despite the sticker shock of $25,995 plus HST. Once we got inside it, however, we realized the tight quarters would just not work for us. 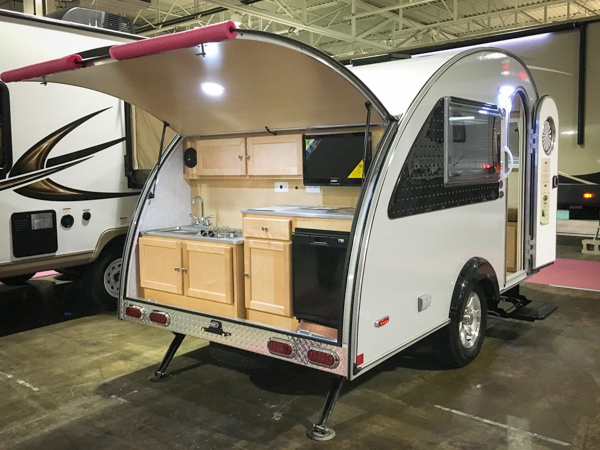 We looked at pop-up tent trailers with no kitchens or bathrooms, A-frame trailers with kitchens but no bathrooms, ultra-light trailers with various combinations, and luxury trailers that are nicer than most houses! The problem of course is that the more we saw, the longer our list of wants became (although it never grew to include a stone fireplace with leather recliners). We learned about wood frames vs aluminum, which trailers offered the biggest black/grey/fresh water tanks, what interior features were most important to us (the ability to use a real mattress as opposed to repurposing bench cushions was top of the list), and discovered a whole host of possibilities we’d never considered. The bad news? Nothing we wanted could be towed by our current vehicle. The further bad news? Our second vehicle needs replacing in the near future. It’s good to keep in mind what we would need in terms of towing capacity if we decide to go the trailer route, but purchasing both a vehicle and a trailer would be a serious expense. It’s a good thing the Camping & RV Show is coming up to perhaps offer us some additional equipment to make tent camping less painful in the meantime. 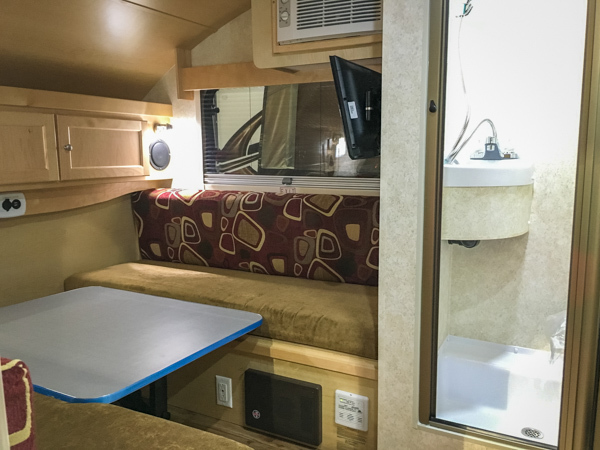 That being said, we definitely intend to visit the lots of a couple of RV dealers to take advantage of their offers to give us a rigorous demonstration of how to use and care for the trailers. In particular, Brendan McFadyen of Campkin’s in Whitby was incredibly helpful, and we might need to leave our Visa card at home to stay in control!